The A.L.L. 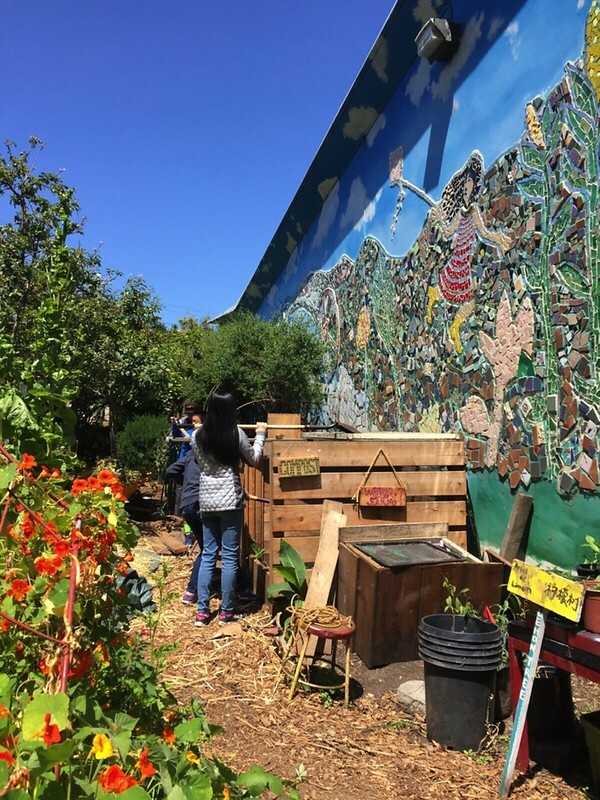 GREEN FUTURES STEWARDS are an extraordinary group of students! 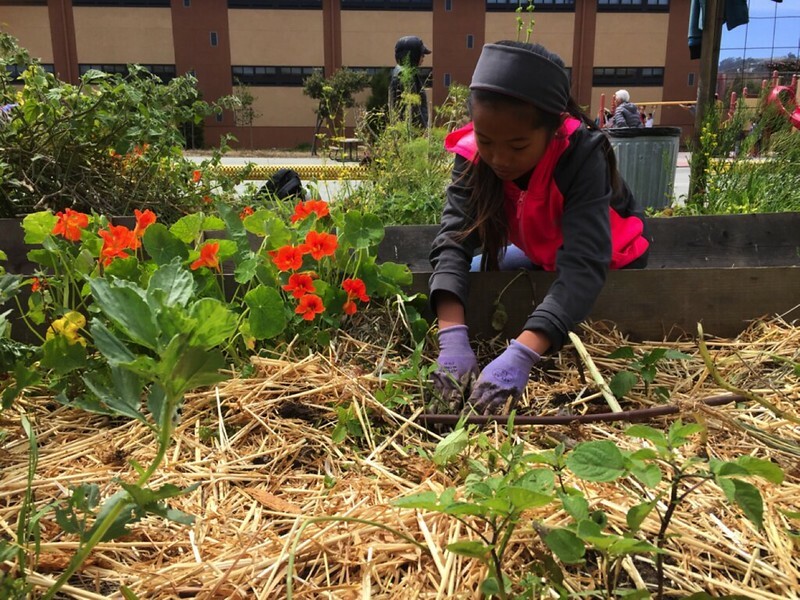 They have been spending close to 15 hours every week in the OMI/Excelsior Living Library & Think Park Gardens and are beginning to master some important gardening skills including pruning, weeding, hose coiling, composting, and planting as well as numerous other useful green skills. One thing I learned is how to pull out/dig up weed on the dirt. Another thing I learned, is pitch forking the compost with a turning pitch fork. The Hula Hoe is used for to dig down to plant a plant. The activity I enjoy most is, watering, because I love playing with water and using water for some reason. 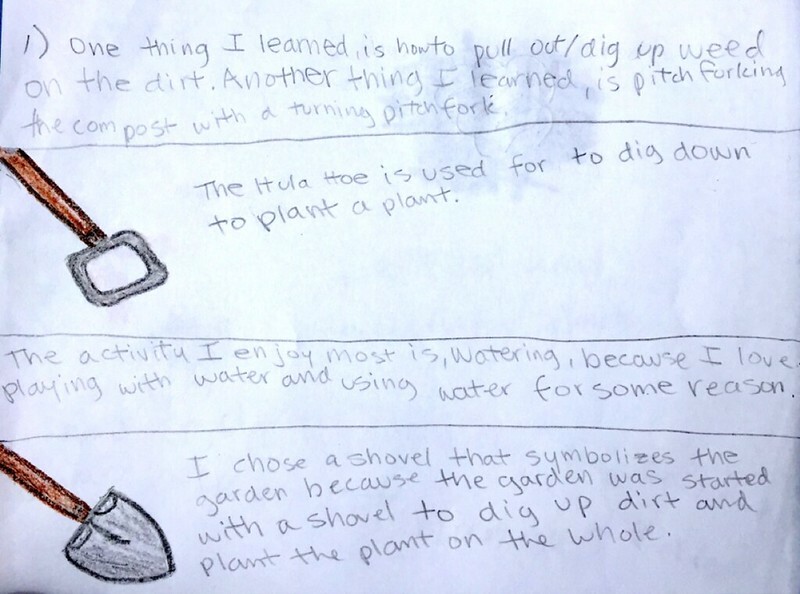 I chose a shovel that symbolizes the garden because the garden was started with a shovel to dig up dirt and plat the plat on the whole. I have learned how to plant trees and how to prune plants. My favorite activity that I have enjoyed was making the salad and chocolate dipped fruits. I enjoyed making the salad because I actually ate vegetables in a fun way. The chocolate dipped fruits were good so I enjoyed it. I think that the tree in the chill corner symbolizes the garden because we all like climbing on it and hanging out on it. Posted on July 25, 2016 at 10:59 am.